This is a scalable context timeline. 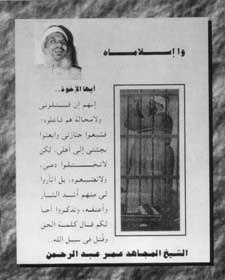 It contains events related to the event 1998: Hijacking Proposed to Obtain Release of ‘Blind Sheikh’. You can narrow or broaden the context of this timeline by adjusting the zoom level. The lower the scale, the more relevant the items on average will be, while the higher the scale, the less relevant the items, on average, will be. Siddig Siddig Ali. [Source: Chester Higgins / New York Times]In March 1995, Emad Salem, an FBI informant and an ex-Egyptian army officer, publicly testifies in a 1995 trial of the 1993 World Trade Center bombing plotters. He mentions a plot taking place at this time by Islamic radicals tied to the “Blind Sheikh,” Sheikh Omar Abdul-Rahman (see July 1990). A Sudanese Air Force pilot would hijack an airplane, attack Egyptian President Hosni Mubarak, then crash the plane into the US Embassy in Cairo, Egypt. 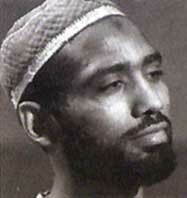 Siddig Siddig Ali, who will be one of the defendants in the trial, asks Salem for help to find “gaps in the air defense in Egypt” so the pilot could “bomb the presidential house and then turn around, crash the plane into the American embassy after he ejects himself out of the plane.” Abdul-Rahman gives his approval to the plot, but apparently it never goes beyond the discussion stage. Although details of this plot are in public records of the World Trade Center bombing trial, both the 9/11 Congressional Inquiry and 9/11 Commission fail to mention it. [Lance, 2004, pp. 196; Intelwire, 4/8/2004] Abdul-Rahman is closely tied to bin Laden and in fact in 1998 there will be an al-Qaeda hijacking plot designed to free him from prison (see 1998). Individuals connected to Abdul-Rahman and al-Qaeda will also plot to crash an airplane into the White House in 1996 (see January 1996). Chris Isham. 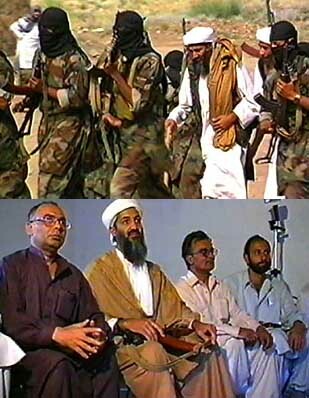 [Source: Viewimages.com]In March 2001, the ISI learns that one of bin Laden’s operatives, who is working on a sensitive al-Qaeda job in Afghanistan, has been providing information to the CIA at the US consulate in Peshawar, Pakistan. The operative, whose CIA codename is “Max,” becomes worried that the ISI will disclose to al-Qaeda his dealings with the CIA. 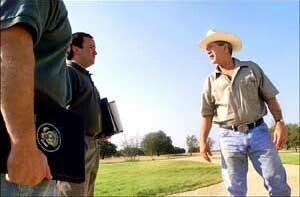 The next month, ABC News reporters Chris Isham and John Miller meet with Max and help him defect to the US and talk to the FBI. Max tells the reporters that in 1999 and 2000 he was trained as part of a small group by Saif al-Adel, one of al-Qaeda’s top leaders. Asked by Isham and Miller whether al-Qaeda is planning any operations targeting the US, he describes a plan to hijack an airplane carrying a US senator or ambassador and then use the dignitary to bargain for the release of the “Blind Sheikh,” Sheikh Omar Abdul-Rahman. US intelligence learned of the same basic plot idea in 1998 (see 1998). Max does defect and will be extensively debriefed by the FBI. [Miller, Stone, and Mitchell, 2002, pp. 282] In May 2001, a Senior Executive Intelligence Brief (SEIB) will be sent to top White House officials warning that “terrorist groups [are] cooperating on [a] US hostage plot”(see May 23, 2001). It is not known for how long Max was talking to the CIA or what he told them before he was exposed, but his account contradicts assertions that US intelligence did not have any well placed informants in al-Qaeda in Afghanistan. An Afghan named “Ahmed” defects around the same time and there are similarities between his case and that of Max, but it is unknown if they are in fact the same person or not (see April 2001).